What is LinkedIn? If you know how to use LinkedIn properly it can prove to be a very useful online tool. It is a form of social network originally intended for businesses. However, it can also be a profitable platform for individuals, bloggers and internet marketers if used correctly. Here’s how, but first a brief explanation of this business networking application and how it works. LinkedIn is fundamentally a professional social network, originally designed for businesses and business colleagues. For some reason many refer to it as LinkdIn, but this is a mis-spelling, and the two are the same. LinkedIn can be used by anybody for their own purposes, not just by businesses. You can use it as an individual to make contact with others with the same interests or others in the same line of business; you can use it as a business employee or as an individual running your own website or blog. It is possible to have more than one account: one through your employment and another for your personal use. The latter could be related with internet or blogging businesses you operate in your spare time when not at work. Using LinkedIn you can set a Profile, examine the Profiles and employment history of others, check out other individuals that LinkedIn might suggest as potential contacts, and invite others to connect with you. This is somewhat similar to Facebook, but more business-orientated although it is not specifically restricted to business use. Here are some of the ways in which LinkedIn can be used to help you with a regular business, a blog or a home business – online or offline. 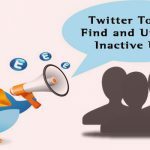 Each of these is useful information to connect this account with your website and your Google+ account of you have one. This is a powerful way of improving the authority of your website between your website/bog – Google – Google+ – LinkedIn. If you do not yet have a Google+ account, then we recommend strongly that you get one now. Photo: Do not use an Avatar. Use a good portrait photograph of yourself. Your face should comprise most of the frame – LinkedIn’s upload system comes with a cropping service to enable you to achieve this. Background: You can now give some background to yourself. Include everything relating to the business you are promoting first. Follow that up with any other information you think might be relevant. For example, you can state here why you are doing what you are doing if you think it of interest to others. Experience: Begin with your experience in your current activities. If you are a professional blogger, state your online experience and your specialties or what you are good at. People want to know why they should connect with you or even use your services or products. You should try not to leave gaps if you are still available for employment. Where were you during those gaps? Prospective employers hate gaps in your employment record. If you are now working for yourself online, don’t include every job you have ever had, but do include any job where you had a position of responsibility or that relate to your current specialty. Honors and Awards – Courses: Include what you think relevant. People can be impressed by any honors or awards that project you as being capable and trustworthy. They are unlikely to be too interested if you won your local pool competition. Stay relevant. Courses – Publications: These two sections enable you publicize the training you have had and any publications with your name on them. This information helps prospective employers or clients to decide on your worth to them. Leave out nothing that you believe will project your capabilities better than if you left it out. Skills and Expertise: Include everything you believe relevant to your professional capabilities. As before, those interested in employing you or using your professional services will not be interested if you are expert in bog snorkelling (unless they were seeking bog snorkelers) but they may be if you were skillful in web design or an expert in Forex analysis. Education: If it is good and you are proud of it then include it. Otherwise simply provide where and when! That is fundamentally how to complete your LinkedIn Profile. Your Profile is the #1 most important page by far. It will be the basis by which others in your fields of interest decide to connect with you. Many enlightened employers are now making this their first port of call when assessing the suitability of job applicants for an interview. Okay – so now you understand roughly what LinkedIn is. It is not necessary restricted to business users, but is another form of social media. In fact, Google looks on this as being a very important form of social media, and gives it a great deal of authority. Publishing your website or blog link on LinkedIn is worth a great deal more in PageRank than doing so on most other sites. Hence the importance of the link at the beginning the last section, when you provide your contact details. When completing the above sections of your Profile, make sure you scatter your important keywords around. Not too much, but enough to make sure Google knows the focus of your business. This will boost the SEO of your linked website. Make sure you use your name in your Profile and not ‘I’ – or ‘we/they/it’ if it is a company profile. 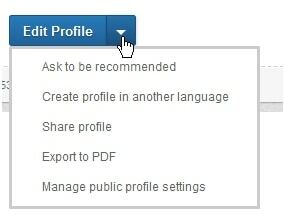 Click on the bottom link here (Manage public profile settings) then click to make your Profile public. This link also allows you to hide any of the Profile sections that you would rather not be made public. However, if you do that, why bother completing these sections just to hide them from public view? If you are seeking employment, provide your LinkedIn Profile URL in your CV. Your prospective employer can then check out more details – this should give you a head start over any applicant that does not have an account. Start by clicking on ‘Network’ and then ‘Contacts’ – LinkedIn will likely suggest some potential contacts for you. 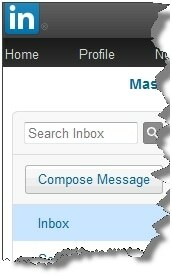 If not, the click on ‘Add Connections’ when you will be able to add your various email addresses. You will then be provided with a list of people who are connected with your email system and who are also registered with LinkedIn. SEE ALSO: Is LinkedIn the Best Social Network? Play around with it and find out how to use LinkedIn. You will soon see that it is not only for business use. However, you will also find out that it is not Facebook, and that it is used in a more professional way. Here are some ways you can use this form of social and business networking. Professional Contacts: with people involved in your type of business or online niche. Many individuals or businesses will connect with those in the same area of interest with a view to keeping an eye on their activities and/or come to some form of marketing agreement. Keep in mind that you can both request a contact and reject such a request, just as you competitor can. Client Contacts: with your clients and customers. The purpose here is to keep in touch on a professional basis. Facebook and other social media are more informal, and you will find that many clients who would never visit your Facebook fan/business page, or even your Google+ business page, will accept a LinkedIn Contact offer. Personal Contacts: you can also make contact with your friends and family who have an account. This contact should be run on a professional basis however: leave the personal and social stuff to Facebook and other personal social networking applications. The connections you make should be useful to you. If you receive a request from another person or company in your field of interest, then before accepting that, consider how you can benefit from it. Friendly competitors know how to use LinkedIn to keep tabs on each other in a friendly but competitive way. It is more beneficial to be in this than out. Make sure that you update your contacts at least monthly. The ‘People You May Already Know’ tool offered by LinkedIn is a good way to assess potential contacts. Quite frankly, if you would not feel comfortable walking up to someone and shaking their hand or with making a phone call to them, then don’t connect with them. Google regards LinkedIn as an authority site. Many believe that a link on this site is worth a lot more than links on YouTube, Facebook or any other form of social media. Both Google and Bing will index a public Profile, so make sure you have ticked this box. Google will follow a link from your Profile page to a link in your website ‘About’ or ‘Bio’ page, and vice versa, so link the two together. This will provide link juice to each page. You should also publicize your website or blog to your LinkedIn contacts and any others who read your Profile. Also make sure that your Profile is optimized for your more important keyword. If your website or blog is a commercial one, and you have products to sell (as most have), then you can use this business social site to increase the likelihood of sales to your visitors. When you meet anybody who might become a customer or client, you should invite them to connect with you on LinkedIn. They may already be registered with the network, but if not then provide them with all the details they need. Follow that up with an invitation to connect. As most internet marketers claim, it takes 6-8 contacts or product views before a potential customer will actually buy. You will, take up at least two of these exposures by inviting them and them accepting. Once you contact them on LinkedIn you are half-way to a sale! This enables you to compose and send a message to any of your contacts. In many cases, it is better to deal with professional or business matters through this interface than to simply email them or use Facebook messaging. You can use this service to target Contacts in a specific geographical area, or those that identified as belonging to a specific industry. You can send you mailings to up to 50 addresses at a time. Avoid Spamming: Do not use this service to promote products or advertise in any way. Use it to provide useful information or project an idea you have had for their thoughts on it. Regard your Contacts as peers and not customers or service providers/ suppliers. Never use LinkedIn for blatant advertising, but to project you and/or your business in a positive way. You can create a business page (a recent introduction to LinkedIn) and use that in much the same way as you would a Facebook business page. This enables you to promote your products and services, and to make special offers to those visitors that recommend your LinkedIn Company Page. LinkedIn advertising is similar to Google Adwords. It is a form of PPC, where you can bid to have your adverts published prominently on LinkedIn. You can also promote your business using email marketing, and group announcements and discussions. Your ‘business’ can be a hobby blog, an affiliate marketing website, an online or offline franchise or even Wal-Mart or Microsoft! This shows you any groups to which you already belong, but more importantly, you can click on the yellow link to create your own group. One of the benefits of creating your own group is that you get a free broadcast email service you can use to contact each member of the group with one mailing. You can only do this once a week, but that should be enough. By building and maintaining your own group you have access to many others who are interested in your niche – a bit like building an internet marketing mailing list. If you have vacancies in your business, LinkedIn is an excellent reference source for pre-employment screening. Include a section in your application form for social media links (a check box of selected social sites perhaps) and then follow these up. You can discover a lot about a potential employee from their LinkedIn Profile. Even their list of contacts can give you useful information. People rarely connect to others with whom they have little in common. You can also compare the information provided in the application form with that you find on the social media. It is difficult to hide untruths throughout the social networks! However, LinkedIn lets you go beyond that: you can approach those listed among their professional contacts for a reference that is not included in their list. If such people respond, you can be sure they are genuinely associated with the applicant in a professional capacity. You can be confident of finding the real character of the person you might employ. The other side of this coin is that you can also use LinkedIn to find employment. If you are looking for a job then design your Profile accordingly. Be as positive as you can about your qualifications, experience and accomplishments. Most employment agencies and career advisors will point to LinkedIn as being an important tool in the job-hunting race. You can publish your qualifications, experience, awards, successes and everything else that makes an average candidate a great one. Not only is your availability made public to thousands of prospective employers, but many HR and personal managers search through online profiles when they are seeking new personnel. Print out your Profile and show it to a friend. Ask if they would employ this person. Take any comments they make and use them to improve it. This is a very powerful tool for those seeking a new job, and many people have found their ideal position because they took the time to create a LinkedIn Profile that was sure to impress anybody who read it. You must make sure that it is accurate and 100% honest, because if you are caught cheating with your profile or employment application form you can be fired without notice irrespective of you employment record. Be honest! LinkedIn makes it easy to achieve that, because there will likely be people viewing your Profile that know you. In fact, it is almost certain to be the case! What is LinkedIn? You should now know – and if you know how to use LinkedIn to your advantage, then you have a very powerful tool at your fingers. This is more powerful than Facebook in the business world, yet it is not restricted only to businesses and company employees. LinkedIn can be used by individuals. There are few reasons why it should be used for personal and social purposes – this is not Facebook or Twitter. However, if you run a small home business, a small online affiliate business, offer a service such as dog training, SEO or ghostwriting, or even have shop in the local mall, LinkedIn can be as useful to you as it can be to Microsoft, Wal-Mart or any other large corporation. Simply interlink these, and you will impress your prospective clients and customers that find your business on these networking sites. It can never harm you. Knowing how to use LinkedIn is very useful, so play about with it and find for yourself what it can do for you. A special thanks to you for sharing this Ultimate guide with us. Many people want to explore their profile and web existence quickly but they don’t focus on linkedin. i think this is the main mistake of those people. even I am also not using too much linkedin but After reading this motivational linkedin beginners guide I am going to update my linkedin profile accurately. Thanka again Rajesh. I really enjoyed this linkedin beginners guide very much. Using linkedn since a while but never logged in after signup. Seems Like I’ve missed so many things it. 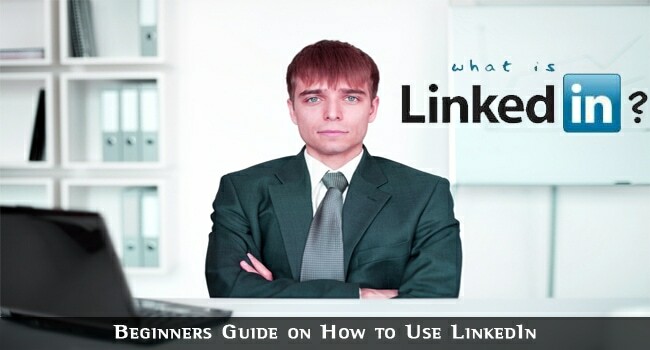 Thanks for sharing great tutorial for LinkedIn beginner. I never took linked seriously for my professional purpose. you advice are great surly try this. Thanks for sharing great tips about LinkedIn. I especially love networking there since I’m able to meet like-minded individuals. Been using linkedin quiet some time now and still looking for ways on how to maximize the use of it.. your tips on how to use linkedin properly saves me a lot of time.. thanks. its a great compiled info about linkdin……i think rather than fb or twitter, its much better to grow our connections on linkdin..! Thanks for detailed post .You wrote all things about linkedln.Actually I have never tried to create an account but after your post I think I had better have an account. Your post contains some useful information. So far i have not used LinkedIn but this post is very convincing and encouraging. thanks for your detail post. I think we need to make room in the top 10 list for one of my favorite aspects of LinkedIn. Recommendations – writing something about your friend or associate so they can post it on their profile has multiple values not to be overlooked. 1. Writing something nice about others will make you feel great. And when they read what you write, they will smile too. 2. There is no other public place on the web where you can make public glowing statements, except possibly a eulogy. 3. Writing, albeit thinking positive thoughts about your peers and associates reflects very well on others. 4. The things you share about your peers can be insightful upon both parties. 5. Recommendations build links, making it easy to click back to the writer. I could go on and on. Needless to say I take and take time whenever I’m reflective about my peers and associates to write something ageless and well meaning. The creative writing exercise, combined with knowing they will be intiguiged and happy to read what I wrote about them, makes it more rewarding. In fact, this belongs in the top 5. 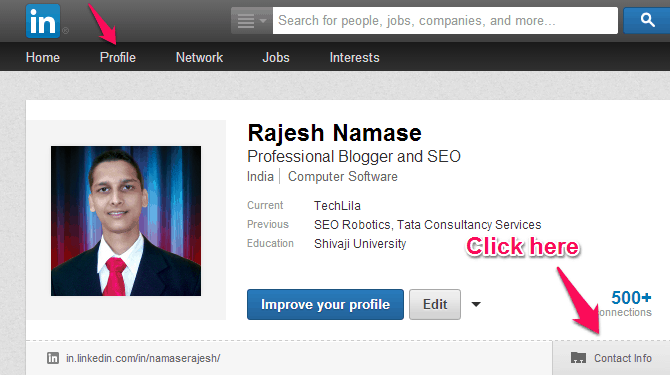 Your profile at linkedin looks really cool and of course it’s one of major social network which has lot of features. And believe me SEO using linkdein is really new to me and I’m gonna try it soon. Hello Rajesh sir, I’m very thankful for this information because till now I was not using LinkedIn as it should be done from the beginning.